Redland Ramblers evolved from the original Redland Rangers team that played so called 'proper football' in the late 70's/early 80's. After disbanding in the mid 80's many players carried on playing 5 a side together for many years. They played a friendly 11 a side game Old 'uns against Young 'uns in 1995/1996 and about the same time heard about the birth of the Bristol Casuals League. The league was founded by the legendary Harry Mottram. His children attended Henleaze Infants School as did the children of the not so legendary Nobby Nowland. Redland Ramblers was formed in 1996 and joined the casuals League in its 2nd season. After winning the league in the 1st 2 years when most of us were in our late 30's we have enjoyed a casual, relaxing decline in our speed, skill, ability, memory and continence ever since. 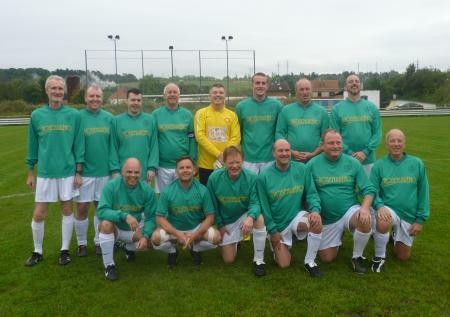 Many of the original squad, now in our late 50s/early 60s still play but are helped along by our younger contingent. We enjoy touring every year. A visit to our club web site www.redlandramblers.net and a look at our Tour Reports will give you an idea of the fun and games we have together off the pitch.